1200 Ponce will not be your run of the mill condos. These 51 condominiums and townhomes will be located in an old church and school building in the Druid Hills neighborhood. Condos will have 1-4 bedrooms and range from 1,600 to 4,200 square feet. Listing information last updated on April 18th, 2019 at 1:15pm PDT. 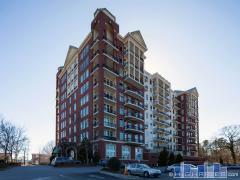 Have any comments or questions about 1200 Ponce? Ask your question and/or share your thoughts about this Building.